Right now, Morgan Matson is probably one of my favorite contemporary authors out there. I absolutely loved Amy & Roger's Epic Detour, and it was one of my all time favorite road trip books. When I heard about Since You've Been Gone, the synopsis immediately sold me, and I just couldn't wait to pick it up. This is a book about two best friends (yay), but here, one of them has left a note and suddenly disappeared. Emily, a quiet and shy girl, gets a letter from Sloane, her best friend, before Sloane suddenly disappears into nowhere. Emily is confused and upset at Sloane's sudden disappearance, especially since it's just the beginning of the summer holiday. Emily and Sloane had amazing plans for the summer, but Sloane's disappearance was not one of them. Sloane leaves Emily a TO-DO list, with some crazy things for her to complete. It's not the first time Emily received one of those from Sloane, and when she did, she never ever completed a list. This time though, Emily thinks that completing the list will lead her to finding Sloane. I'm a BIG list person. I love making lists, and I love seeing lists. Lists are just so exciting and fun for me, and when there's a book with a list in it, I will definitely end up enjoying it. The list Sloane made for Emily is pretty fun. Some of the stuff on the list, like "Penelope", are things that only Emily would understand. Others, like "Go Skinny Dipping", are just random crazy things that Sloane knows Emily would never do. I just love how this list was able to change Emily in so many ways she wouldn't have without it. Despite Sloane's disappearance, there are flashbacks in the book that introduce Sloane to us, and let us understand her and know her more. Emily's character develops drastically throughout the book, and we meet so many other amazing characters that she becomes friends with. The romance in the book was also very interesting. Even though the book wasn't REALLY about the romance, I still enjoyed it a lot. I just really loved the adventures that were accompanied with every "number" on the list. It was exciting and funny and just a great adventure. I really enjoyed this book, and just like Amy & Roger's Epic Detour, it was a perfect contemporary. I also really loved the ending. I definitely did not expect the book to end that way, but again, it stayed true to how realistic the book is. Fans of Morgan Matson and contemporary in general, you will definitely enjoy this book to the max! It is a book full of friendship, heartbreak, love, and fun. I'm really excited to see what Morgan has for us in the future! This is the second really positive review for this one that I've seen this week! 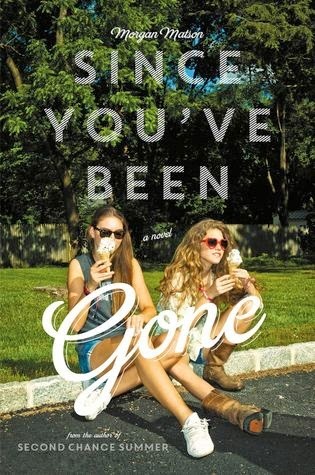 I love Morgan Matson's writing style, and she has this innate ability to bring her characters alive. I think that the list aspect of this novel is fun and exciting, and I think it's the type of book I'd love for the summer. Clearly, it's on my list now. Lovely review, Farah! This is on my summer tbr pile! I have heard some really good things about it, and I too love lists so how could I not read this? I haven't read the author's other book, but I plan to. Great review! I've been hearing a lot of good things about this book, so I'm glad to see that you enjoyed this one. It sounds like a nice read. Great review Farah! Oh yes! I can't wait to buy this book. I read Amy and Roger's Epic Detour last week and LOVED IT! It was so fun yet meaningful, Morgan Matson is amazing! I'm not a list person, unless it's Black Friday, but then again I wasn't a road trip person either. Plus, I love that this is about best friends. I have high hopes from tihs one. Great review, Farah! I wold love to pick up a copy of this one. I am a big list kinda person too, so I think this will be a good one for the summer. Great review. I just picked up a copy of this one and I'm so happy that I did. It sounds like a great summer read and I can't wait to dive into it.